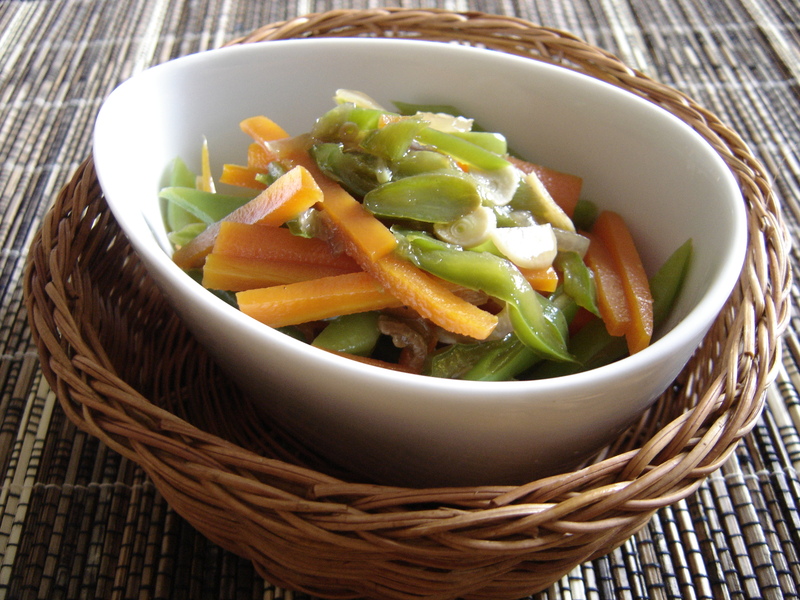 Tumis Buncis Pedas is easy to make and taste also delicious. I used to make it as part of nasi campur, served with other side dishes. 2. Add the carrots, water/broth, salt/vegetables bouillon, sugar and cook until the carrot is half done. 3. When the carrot is half-cook, add the green bean. Continue cooking until all the vegetables is cooked. 4. Serve with steamed rice, and side dishes such as opor ayam, soun goreng, and sambal bajak. Note : you can add prawn if you like.